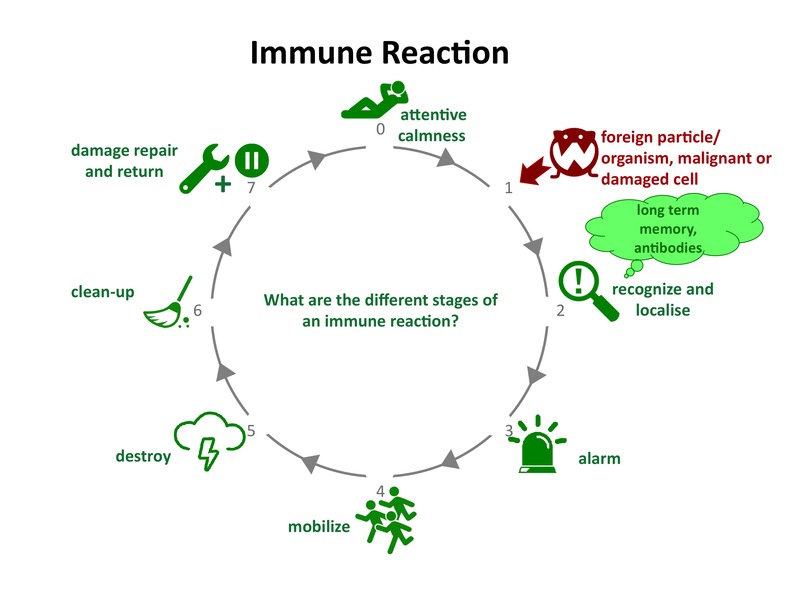 The immune system is a miraculous phenomenon, only by imagining how it functions. When in action it responses defensively towards non-self micro organisms like bacteria, viruses, parasites and molds. That’s why it’s also known as the defence system. Besides that the immune system also repairs damaged tissue, like for instance a if you have an injury. If not miraculous enough, the immune system even does more good: each and every day it cleans the body from deficient cells (a.o. cancer cells) and each and every day immune cells detect the bloodstream to find intruders (non-self organisms) or find damage caused by attacks of defective organisms that in general are not harmful when in the body in small amounts in healthy circumstances. Furthermore, the immune system influences the composition of micro organisms on the skin and the mucous membranes, including the intestinal microbiome. As it seems, immune cells even support the regular (non-immune) functioning of some organs. The immune reaction in the image below takes place in your body on a daily basis. The immune system is always seeking a dynamic balance between action and calmness, inflammation and deregulation, destructive and repair activities. 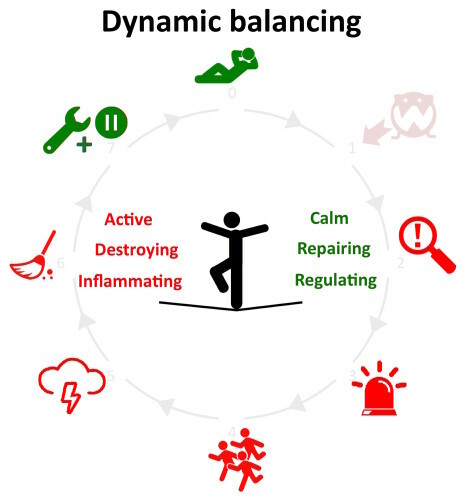 The degree to which the system can find this balance, is a measure of immune fitness.